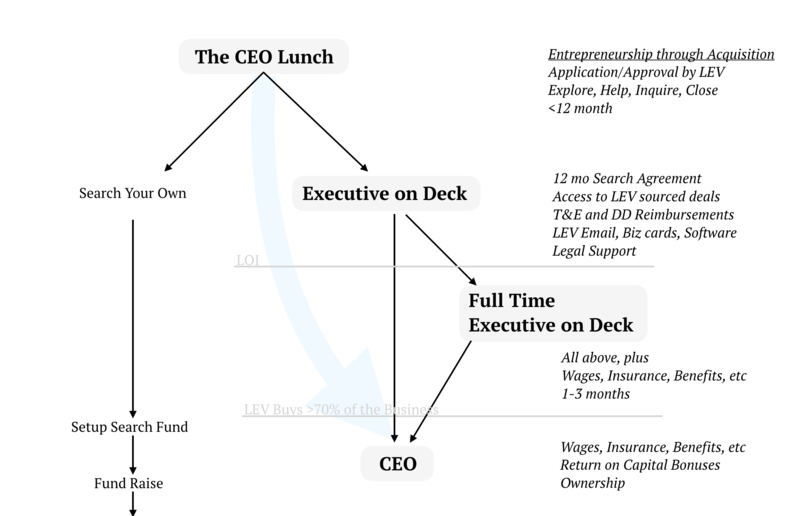 Little Engine Ventures partners with prospective CEOs before a business is acquired. This can happen a few ways. One path we are pioneering is executing search agreements with our Executive-on-Deck program. These search agreements provide the executives with additional resources and capital to help them do entrepreneurship via acquisition. We run the The CEO Lunch program as an educational and training process for individuals considering small business as a career path. A few of the candidates decide we are good partners. Others may buy or start on their own. If you are interested in exploring either of these paths we are glad to help. We are passionate about small business and see a lot of opportunity to help. We have also had success promoting key employees into management.